The above illustration of the Santa Fe RS-2 was featured in AHM's 1967 product catalog. The introduction of this ALCO road switcher happens in 1969. 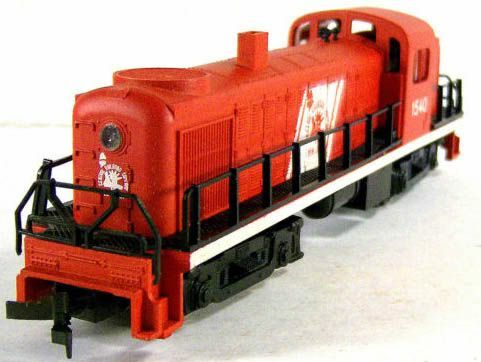 The AHM model was built in Yugoslavia and shares design features with other similarly made locos like the AHM Century 628 and ALCO 1000, plus the contemporary American Train & Track ALCO Century 415. 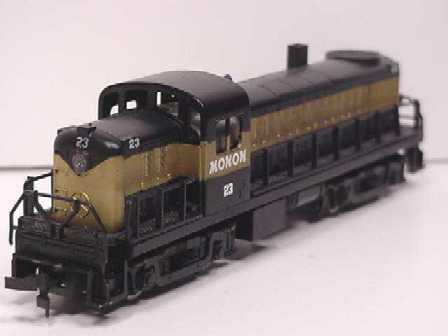 The 1969 retail was $9.98 for the powered model offered in six roads: Pennsy, Santa Fe, Monon, Erie-Lackawanna, New York Central, and Union Pacific. Model Railroader reviews the RS2 in the September 1969 issue. 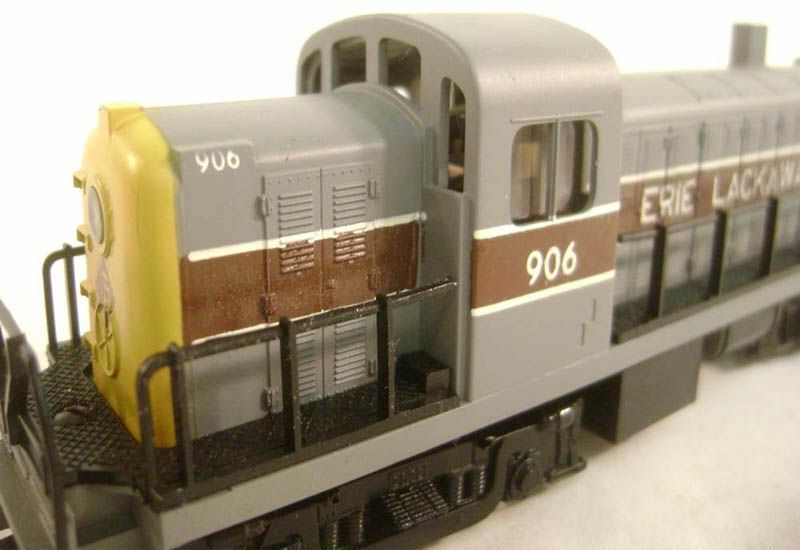 The review points out the model appears tooled for the train set market, but has application for serious hobbyists. 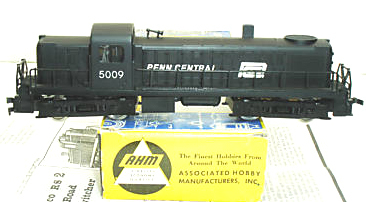 Model Railroader found the AHM RS2 capable of a top scale speed of 150 mph! 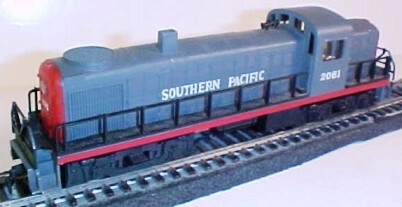 ALCO build the real RS-2 switchers between 1946 and 1950. 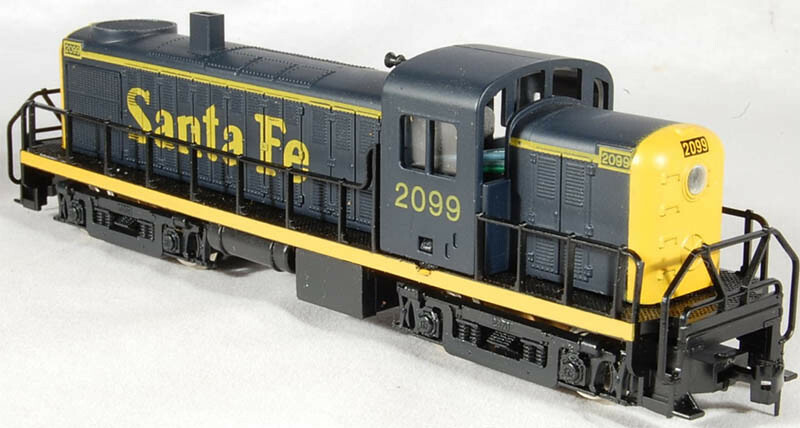 The 1,500 horsepower diesel was bought originally by a number of U.S. and Canadian railroads. Many of the AHM examples are fairly close to prototype origins, though there are some diversions such as the red and silver Santa Fe example. The origin markings on the bottom of the fuel tank include the AHM logo and Yugoslavia. 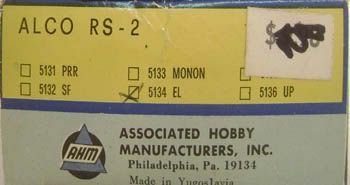 Here's a look at the early release of the AHM RS-2, which included different stock numbers for each roadname and not a model series number followed by two-digit or alpha suffix for roadname identification. Today's Model Power product line inlcudes an RS-2 made from what appears to be the same tooling as the AHM example.